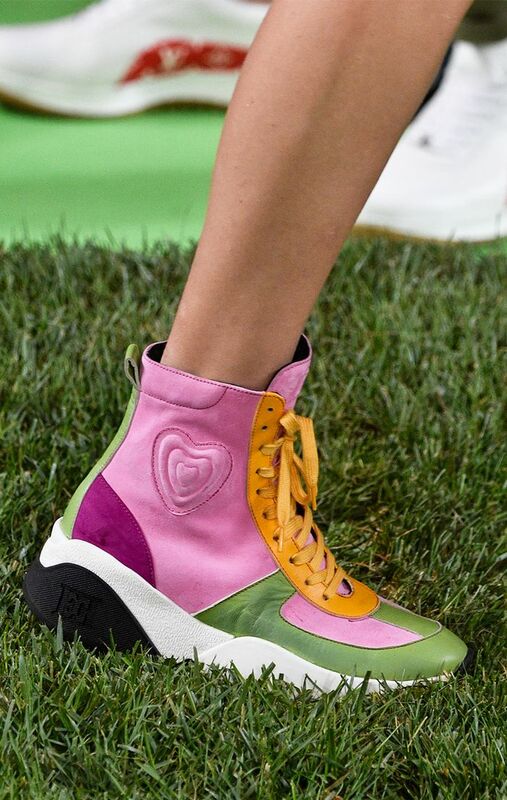 The S/S 19 runways sent out crazy trends of all kinds, but today, we're focusing on the crazy sneaker trends that made us do a double take as they passed on by. There were your typical high-tops and some fun new versions of styles you probably already have in your closet, but those aren't the spring runway moments we want to share with you today. Ahead, we rounded up the spring sneaker trends that you should start preparing yourself for now. From sneakers that are straight from the future to ones plucked straight from your past (we know—things are getting crazy), prepare to see the spring sneakers you'll weirdly want in your closet ASAP. Channel your inner second-grade self and stock up on multicolored, glittery, and heart-adorned sneakers of all kinds. The more youthful the shoes the better. If you were to live in outer space, what would your sneakers look like? Ask yourself that question when buying into this spring sneaker trend. Details like neon logos, neoprene fabrics, and soles that look like they're ready to walk on moon make this particular trend out of this world. Ready for a spring sneaker trend that will have you dreaming of sunny California days? Then you've come to the right place. It's times like these when we wish we'd saved our old beat-up Vans, but for now, invest in tie-dye, checkered, and tropical-print canvas sneakers to offset your laid-back spring look. If traction is what you're looking for, this sneaker trend is for you. Although you might not think of "fashion sneakers" as practical enough for activewear, the runways proved otherwise by churning out sneaks with soles ready to take on any hike. Are they boots? Are they sneakers? They're both. 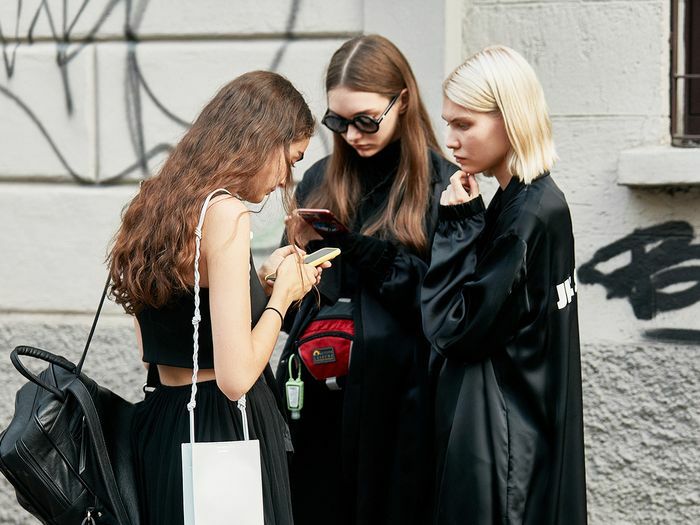 We love this sneaker trend because it's one you can buy into now and wear all winter, but will also be more than relevant for the S/S 19 season. This sneaker trend is for the lazy girl at heart, and we say that with as little judgment as possible. Skip the laces and strap into these Velcro beauties. Whether you're into the chunky and sporty version or the more classic white leather styles, this sneaker trend will save you a few extra seconds in the morning if you let it. Net up, shop the best investment pieces to buy this winter.